BIG 4 news I’d like to update today! There are new Nordstrom 11Pc Free Gift Bag, Hudson’s Bay Canada 23Pc Gift Bag, Ulta Gorgeous Hair Event 2018 and Beauty Brands 11pc gift bag. NORDSTROM (NEW) With your $75 makeup purchase, receive a free 11pc gift bag. See all Makeup. Nordstrom holiday beauty. This post may contain affiliate links. Read the full disclosure. Ulta is running a mega summer sale; up to 60% off right now. There are three new beauty gift with purchase offers at Neiman Marcus, Credo and Skinstore. Happy Canada Day – see awesome Sephora Canada offers and more below! Ulta (NEW)(HOT) runs a massive Ulta Beauty Summer Sale 2018 up to 60% off, see Skincare sale, Makeup Sale, $15 and under sale, $35 and under sale. This post may contain affiliate links. Read the full disclosure. The Bay Canada is offering a beautiful beauty gift bag filled with 15pc goody for your Mother’s Day shopping! Plus, there’s a new $100 worth of free facial at Sephora with $75 in-store purchase and more! The Bay Canada (Hudson’s Bay) (NEW)(HOT) Receive a free makeup bag, plus 16 deluxe samples with any $125 beauty purchase – $185 VALUE. GIFT INCLUDES This post may contain affiliate links. Read the full disclosure. 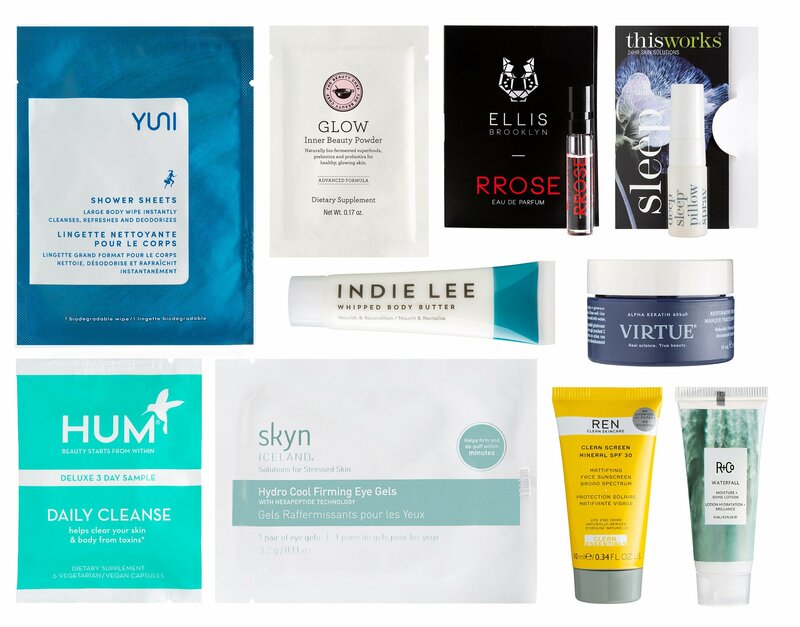 Can you take one more free beauty gift bag? 🙂 It’s for you Canada and it’s $C514 value goody bag! Also, there are new Clinique bonus time at Boscov’s and O-wards Beauty Winners 2017. Barneys New York (NEW) Don’t checkout before you see Barney’s Beauty Sets department! They have nice 8pc Aesop set for $75, Tatcha sets $125 and much more! This post may contain affiliate links. Read the full disclosure. Sephora and Sephora.ca is offering up so many versions of their free sample bags with promo code SPLURGE – see two versions online here and another version of Sephora in-store bag (reviewed here). Now I have another one from Sephora Canada to share. I’m in Canada, hello Vancouver! Sephora and Sephora.ca (NEW)(HOT) VIB and VIB Rouge, choose a free 9-piece Summer Splurge Beauty Bag with your $40 use code SPLURGE. See all items in these two bags here. This post may contain affiliate links. Read the full disclosure. Customize Your 7-piece Estee Lauder Gift with Purchase at Boscov’s and The Bay Summer 2017! The new summer 2017 Estee Lauder gift with purchase offers at Boscov’s and The Bay Canada have begun. Choose your freebies and step-up gifts from new skincare items and summer collection! At Boscov’s you can get free Clinique mini sonic device with any cleanser or bar soap purchase!! At Hudson’s Bay, you can also score two extra sample-filled bags and $10 off. This is not a drill, it’s real! There’s a one day flash sale at Ulta and the site is crash now! Boscov’s (NEW) GIFT 1: Choose your free 7pc gift with any $35 purchase – up to $145 value. This post may contain affiliate links. Read the full disclosure. Double FREE Sample-filled Beauty Gift with Purchase at The Bay and Beauty Deals at Macy’s, Lord & Taylor, Hautelook Morphe, Living Social August 2017! The best gift with purchase deal this year from The Bay Canada is live now and we deserve it! Plus, the Lancome 7-piece gift with purchase at Macy’s is better with extra 2-day gift + mystery gift set, Lord & Taylor 7-piece Estee Lauder gift is also better with new tote bag, Hautelook Morphe brushes and Livingsocial August Super Sale 1000+ deals up to 80% off. The Bay Canada (Hudson’s Bay) Receive up to 35-piece gift with select purchase + $10 off! (NEW)(HOT) GIFT 1: With any beauty purchase of $115 or more, receive a free 14pc deluxe samples. A $110 value. SET INCLUDES: This post may contain affiliate links. Read the full disclosure.